To build awarness of latest Ath-Leisure trend. Relaxed, sports-influenced pieces you can wear all day. 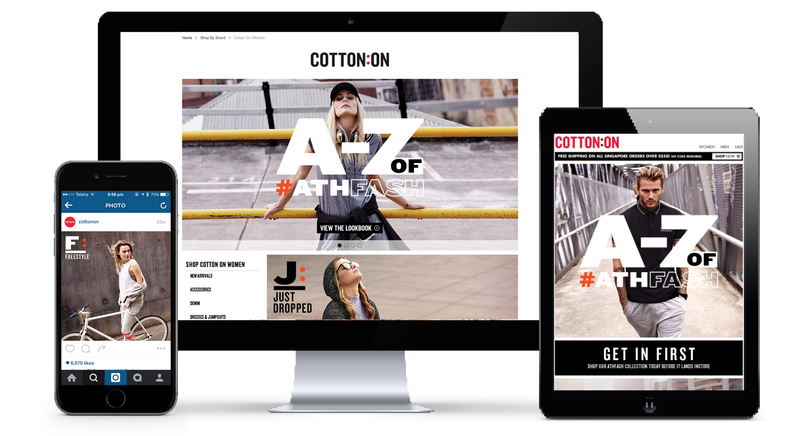 Born from a trend that Cotton On wanted to make a way of life. A perfect fit for the Cotton On customer and brand mindset of everyday casual wear. Introducing the Run: Relax: Repeat collection. A-Z suggests you don’t need to shop anywhere else, we’ve got you covered and for every occasion. 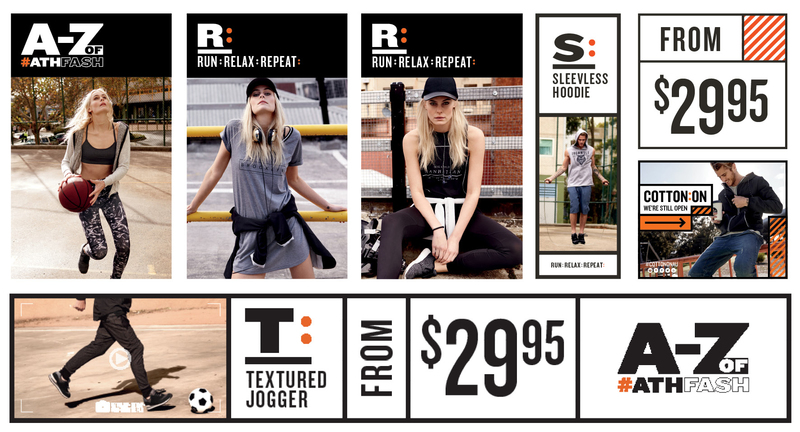 Whether you’re having Sunday coffee, doing a workout, heading out or hanging out, you’ll find everything you need to look on trend in our Run: Relax: Repeat collection. Store windows: Lenticular style cubes were used in flagship stores to create the illusion of movement when walking past.